I had a chance to attend an early opening of Wolcott’s Shebeen Brewing yesterday, along with an enthusiastic crowd of invited guests. The Wolcott brewery’s tasting room has undergone a strong refurbishing since I saw it a couple months ago. As tasting rooms go, this one has a nice atmosphere. A standing bar for pourers on along one wall with six taps means easy access to generous shot glasses. 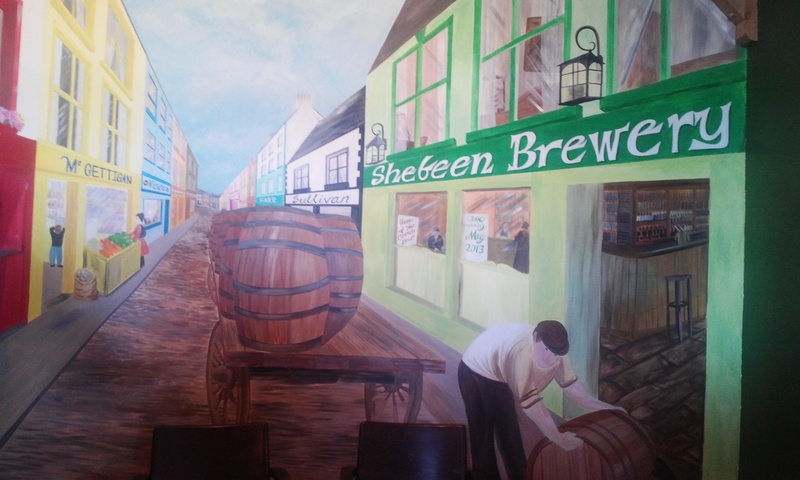 A mural of a quaint, vaguely Irish street scene dominates another wall. There are a few tables for comfort. And the faux exposed beams gives it an old-world touch. There’s an open house today from noon to five, so treat yourself to a dry, mellow Irish Pale or biting Black Hop IPA. 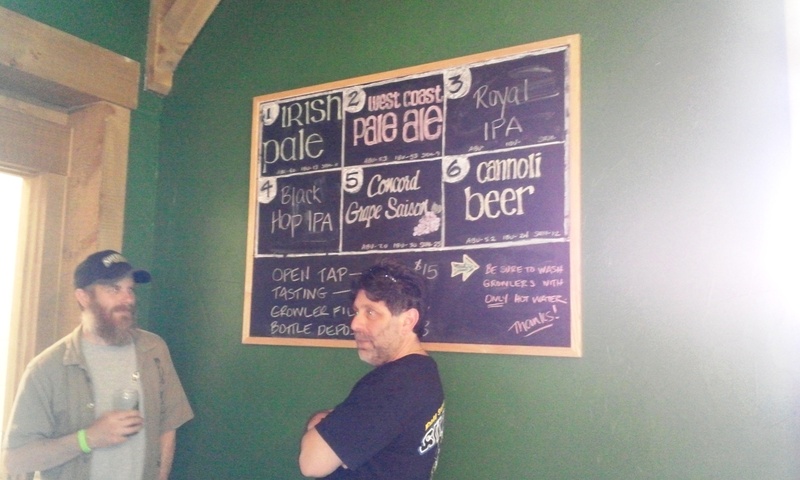 This entry was posted in Beer Snob and tagged Shebeen Brewing, Wolcott. Bookmark the permalink.